Perhaps you've never given much thought to the percentages listed on the back of a bottle of wine. 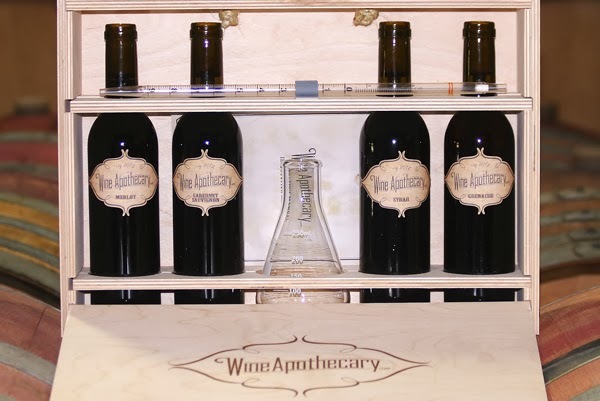 Enter the Wine Apothecary, a new kit that lets you play with wine. You get a box filled with bottles of syrah, grenache, cabernet sauvignon, and merlot, some cool tools like a flask and pipette, and you get to go to work, trying to make a mix that pleases you. 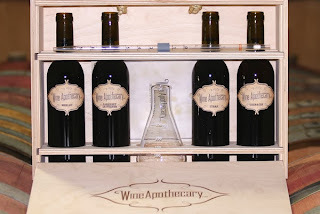 After you do, you mail your percentages in and order bottles of your blend, accompanied by a label of your design. Think of it as the ultimate adult chemistry set. Want ot read the rest then do so at the KCET blog.